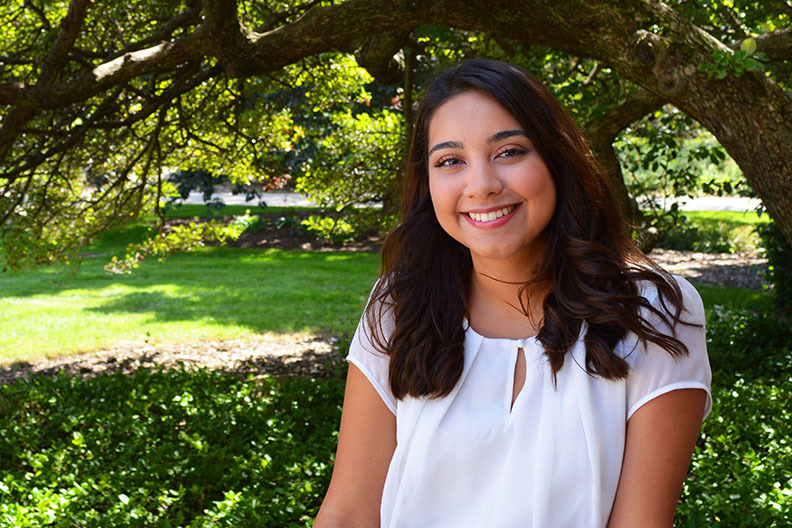 Estrella Vargas ’18, a ﬁrst-generation college student who majored in political science, urban studies and intercultural studies at Elmhurst, has been named a 2019 Pickering Fellow. Funded by the U.S. Department of State, the prestigious Thomas R. Pickering Foreign Affairs Fellowship prepares historically underrepresented students for careers in the U.S. Foreign Service through internships, professional development and financial support for graduate study. Vargas will begin a master’s program in foreign service at Georgetown University in Washington, D.C., this fall. Her studies will be fully funded by the Pickering award and a scholarship from Georgetown. As part of the fellowship, Vargas will take on two internships—one at the State Department in Washington, D.C., and one at an embassy overseas. After graduation, she’ll be assigned to a diplomatic post.